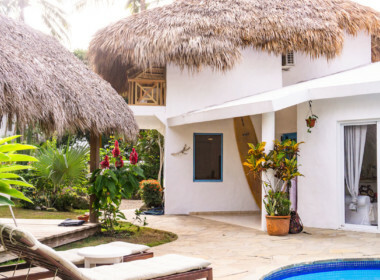 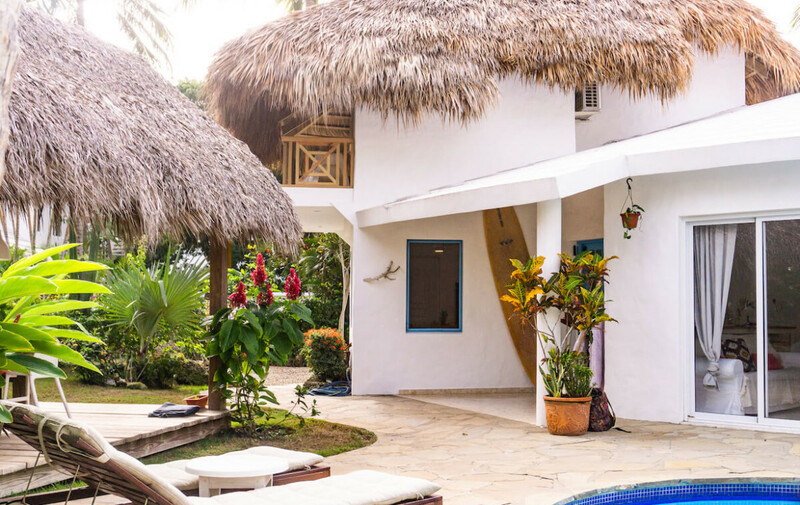 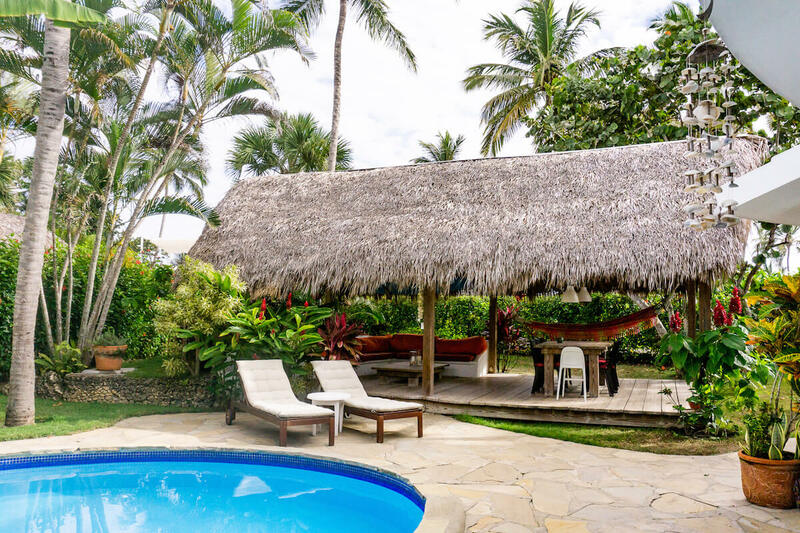 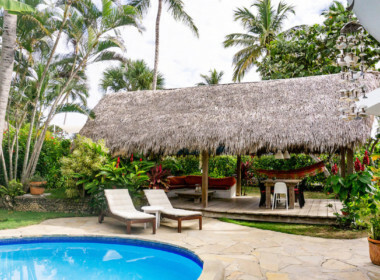 Situated in Cabarete´s best spot, this villa is your dream vacation getaway. 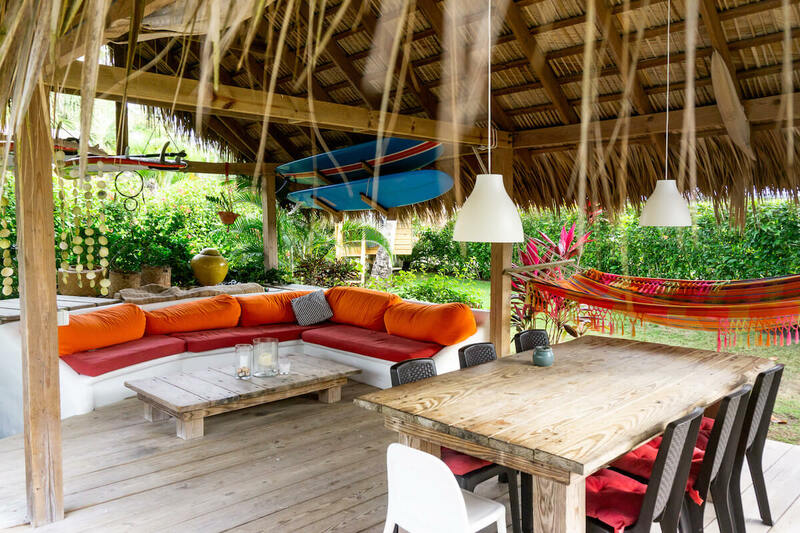 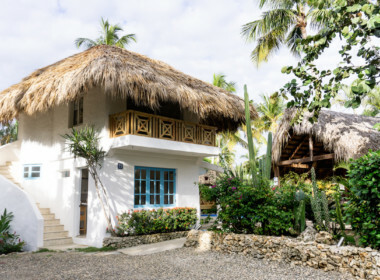 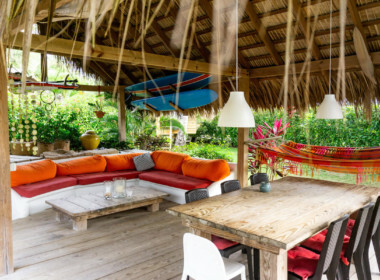 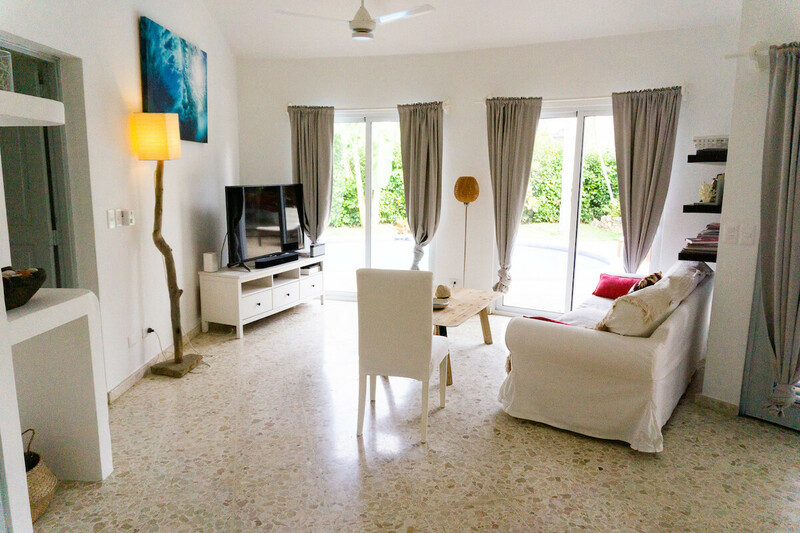 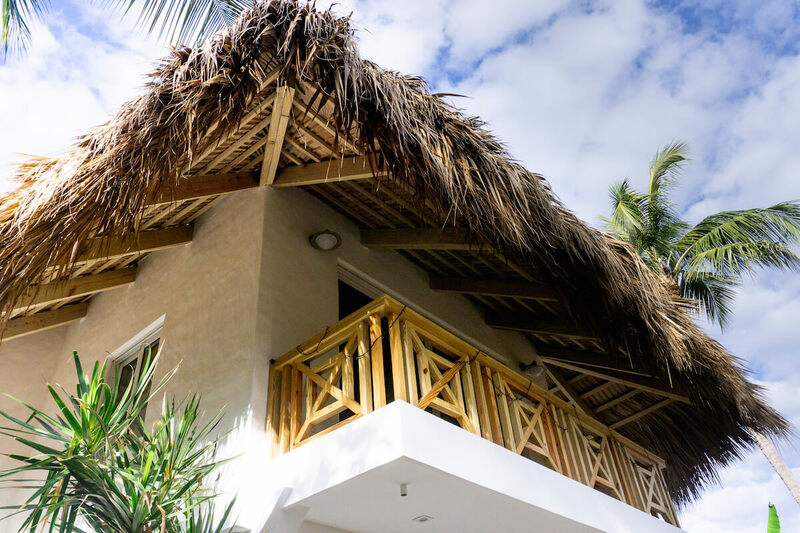 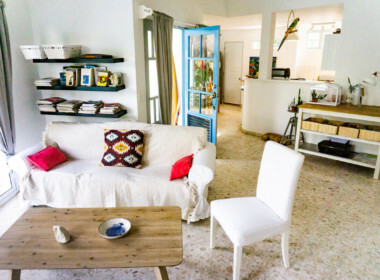 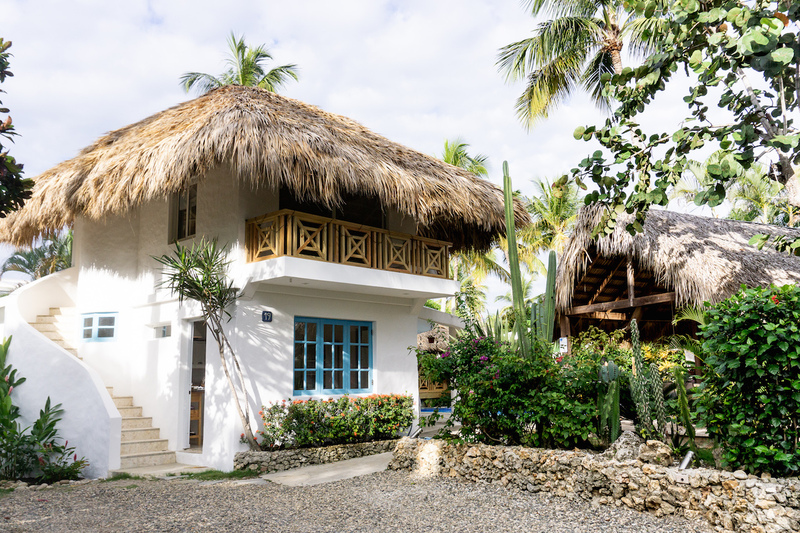 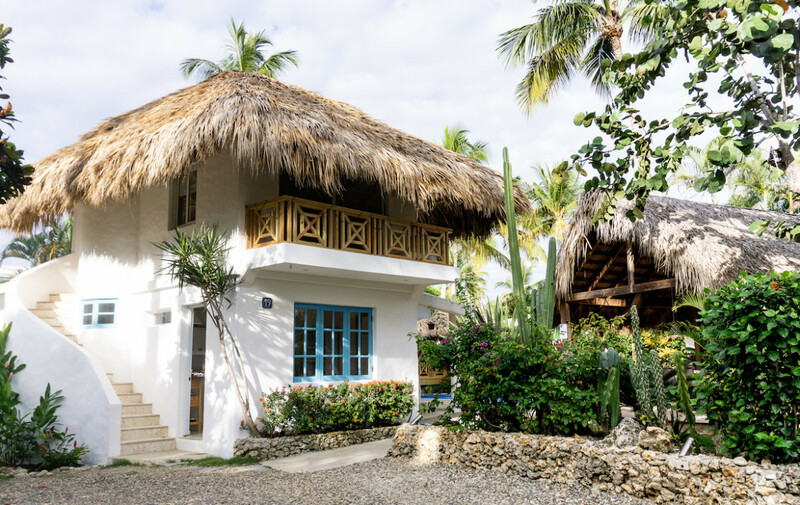 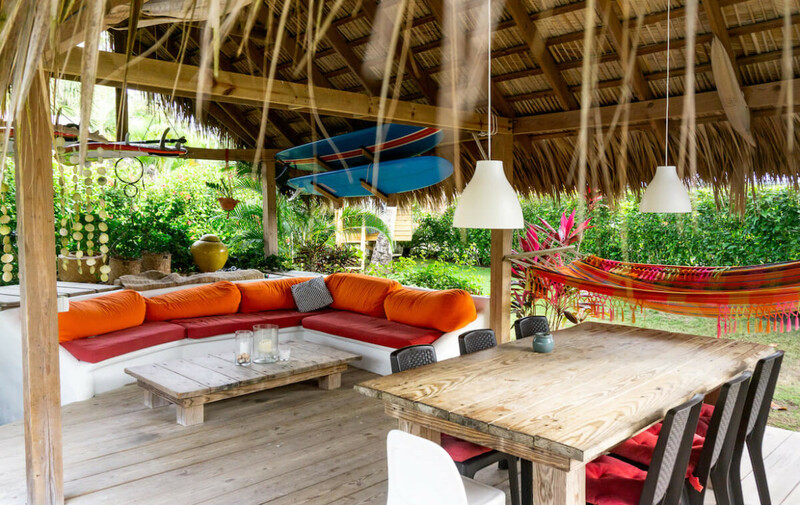 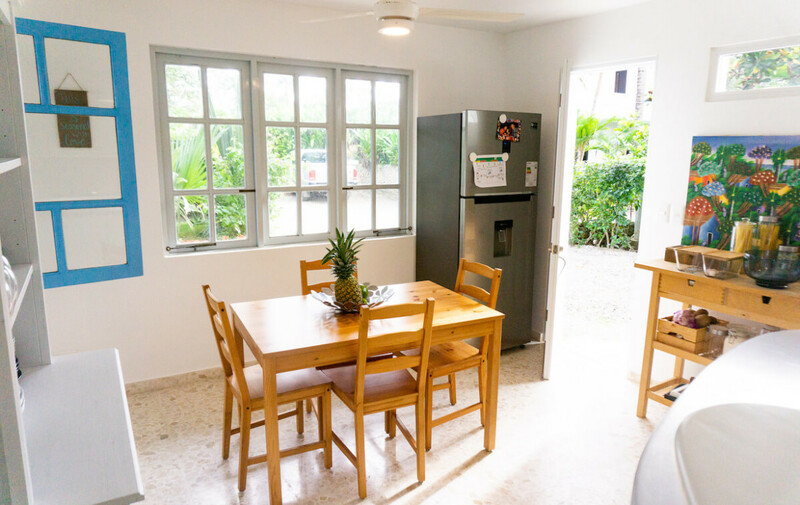 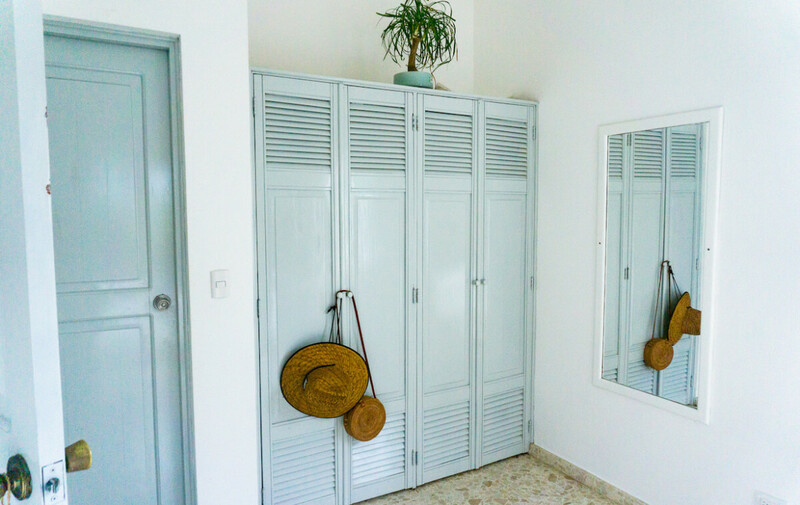 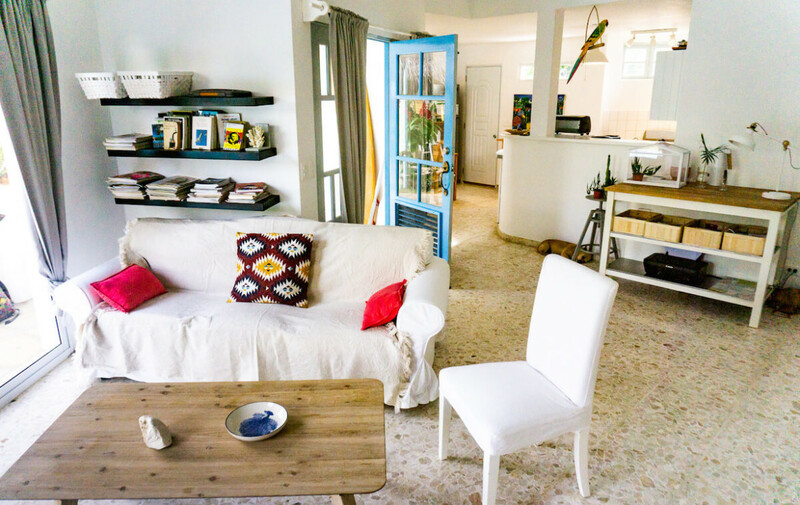 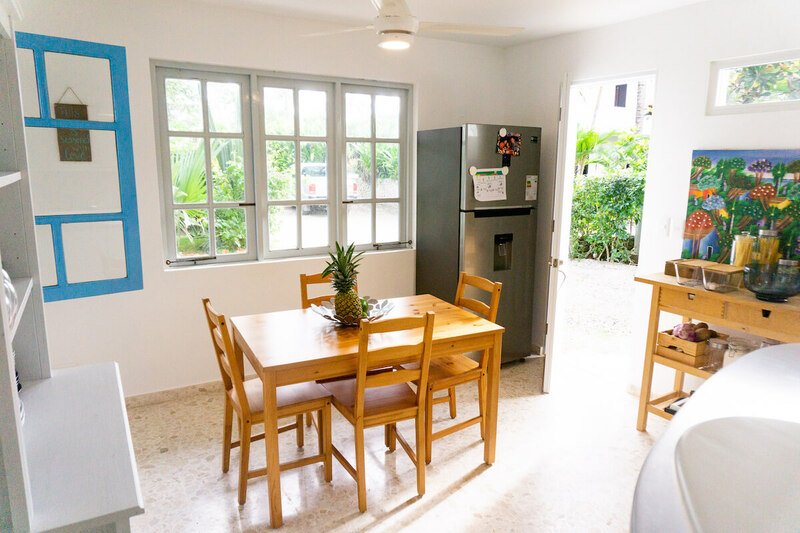 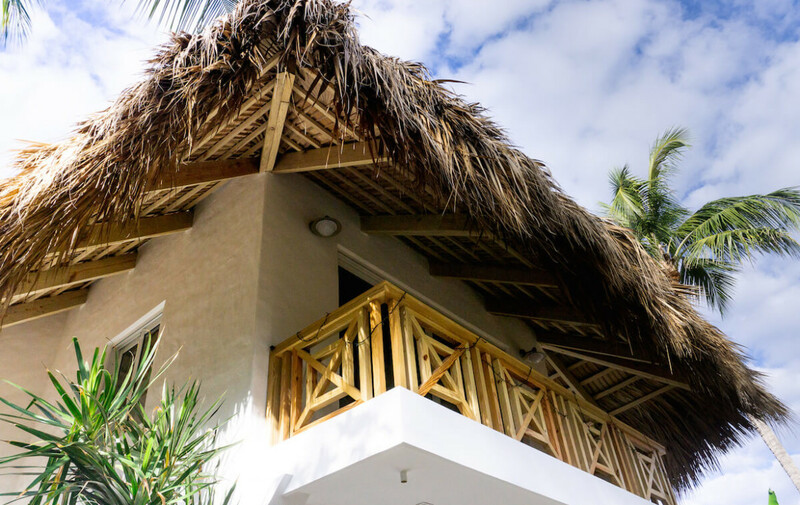 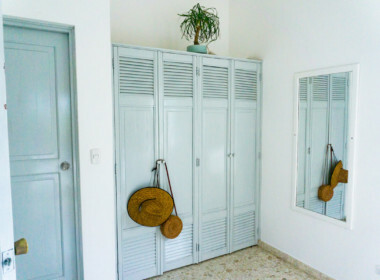 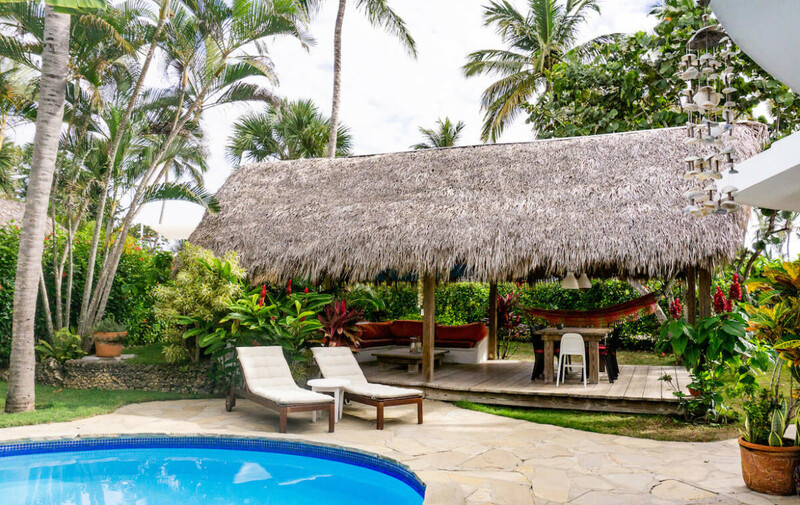 Boho beach styled and comfortable, this property combines all the vacation calm that you are looking for with modern furniture and clear, fresh spaces. 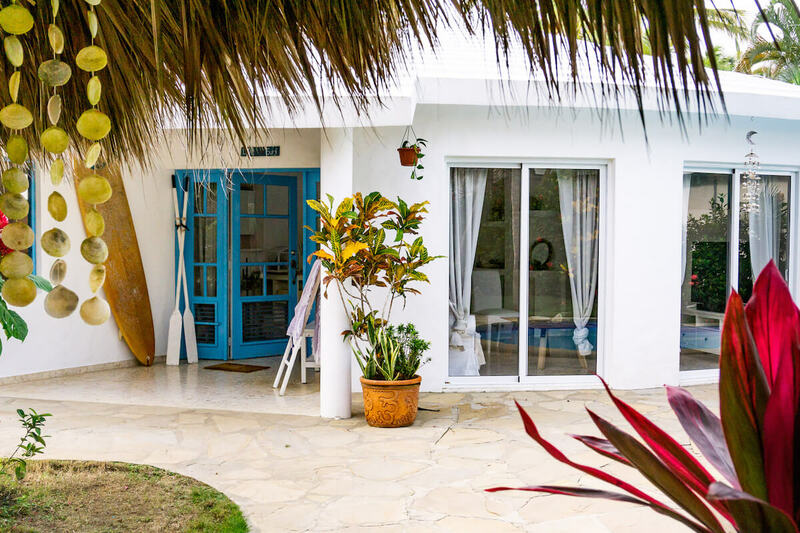 The property is just a few steps from the beach, with private access. 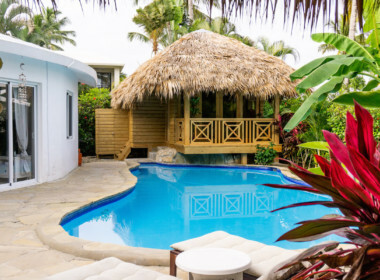 You can listen to the sound of the waves as soon as you get it. 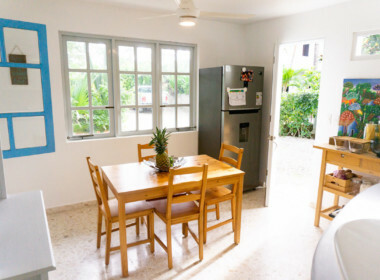 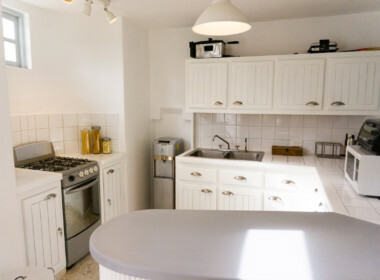 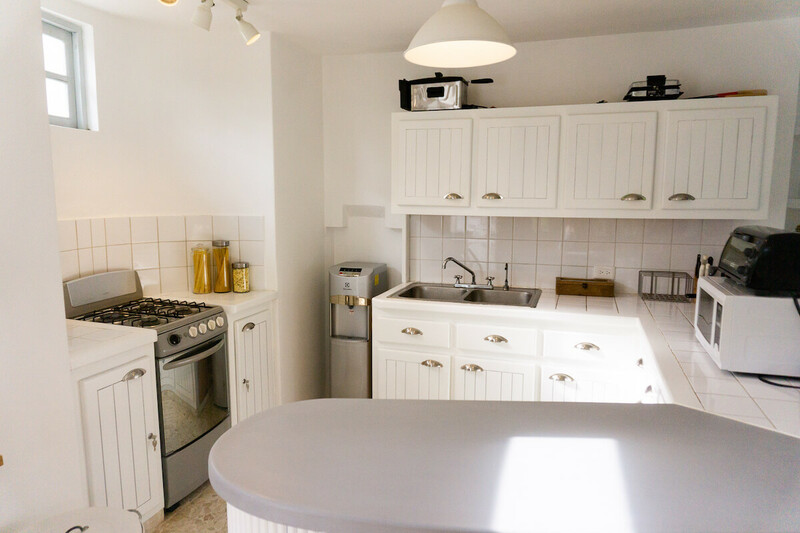 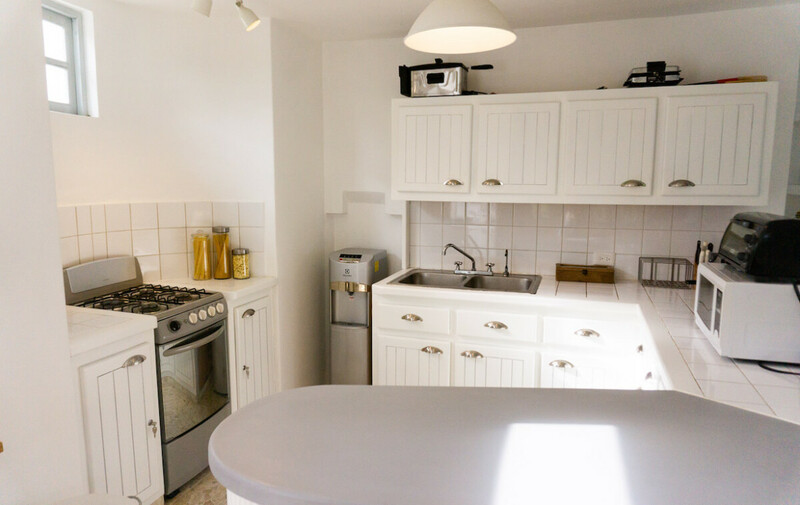 This home has 3 bedrooms in the main house and a lovely bungalow for guests. 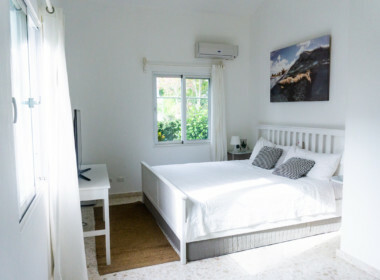 The main room has a king size bed and TV. The kids’ room is especially gorgeous! 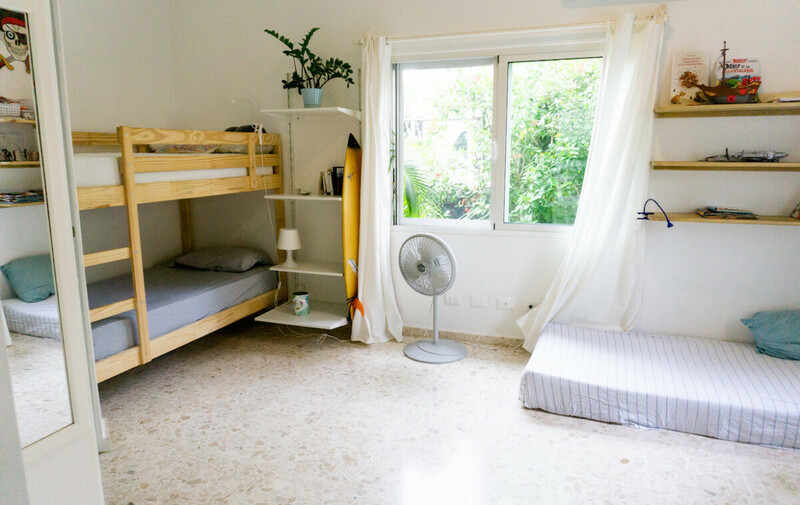 A bunk bed and lots of space for playing. The third room upstairs has an independent entrance for more privacy and overviews the outdoors. 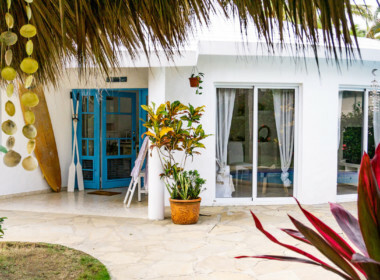 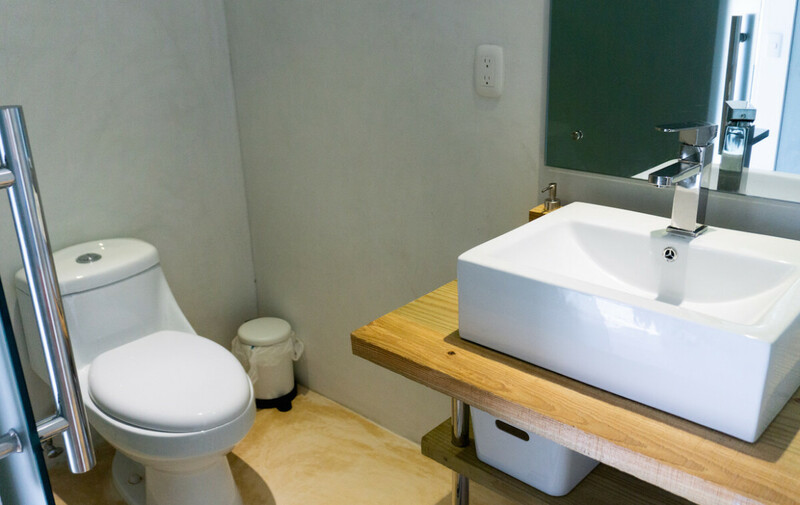 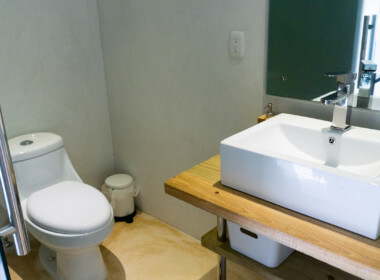 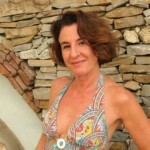 All the rooms have private, newly remodeled bathrooms and view to the pool and gardens. 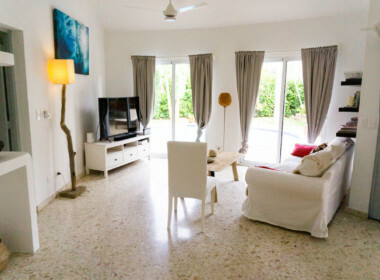 A fresh living room, open kitchen with oven and dining area, with all the comfort. 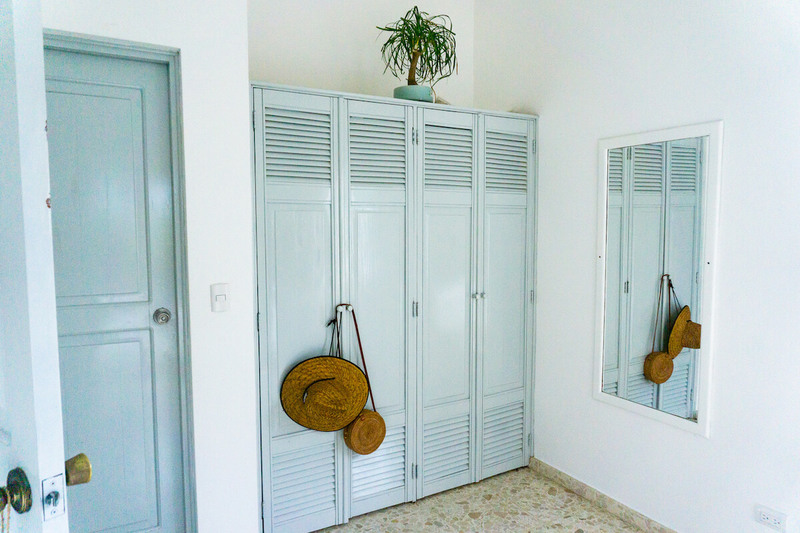 Also, a storage room, big closets, and air conditioning. 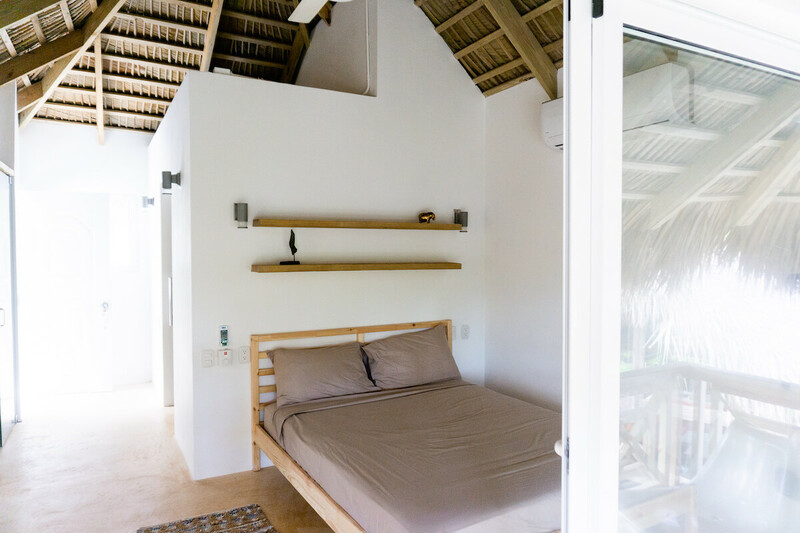 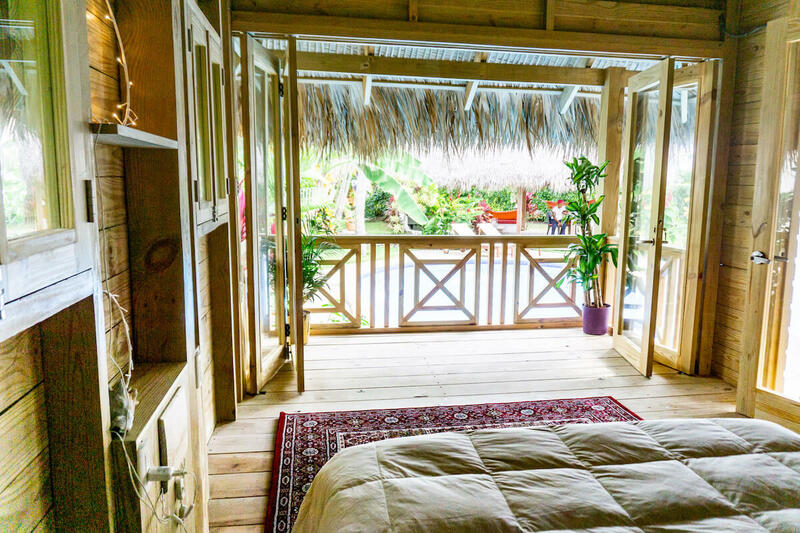 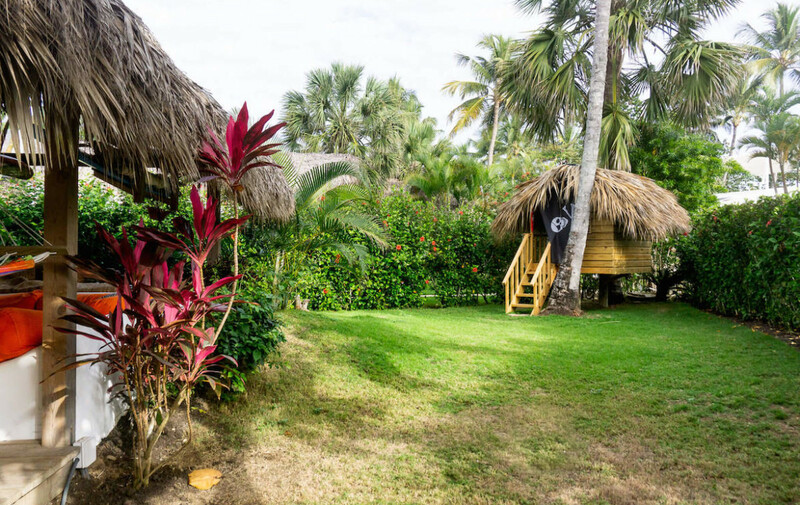 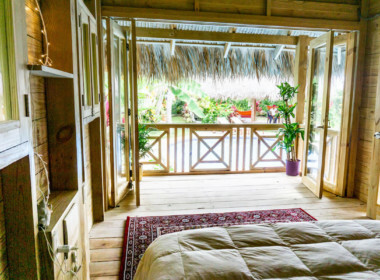 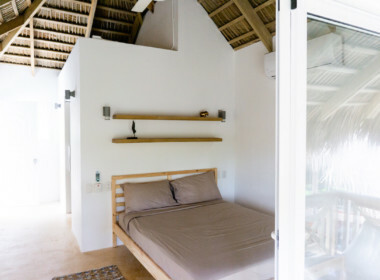 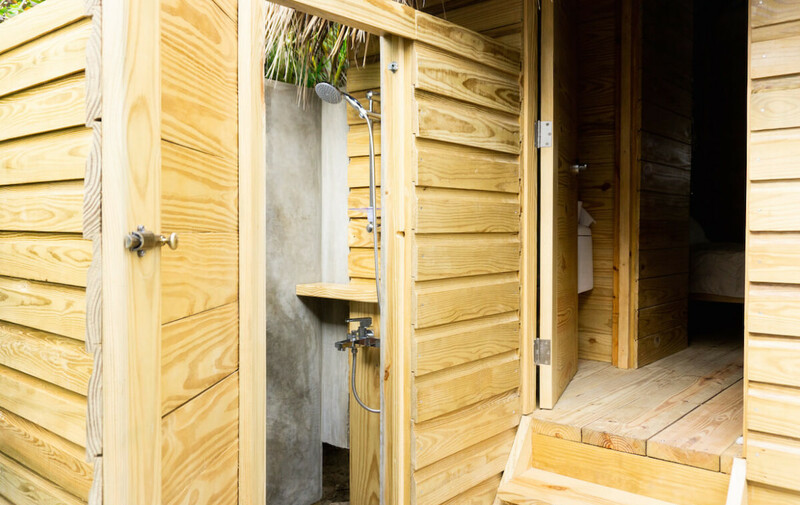 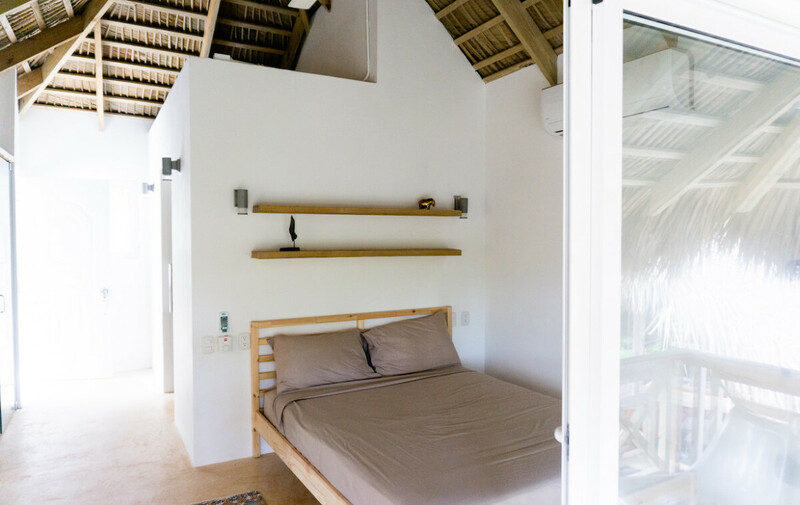 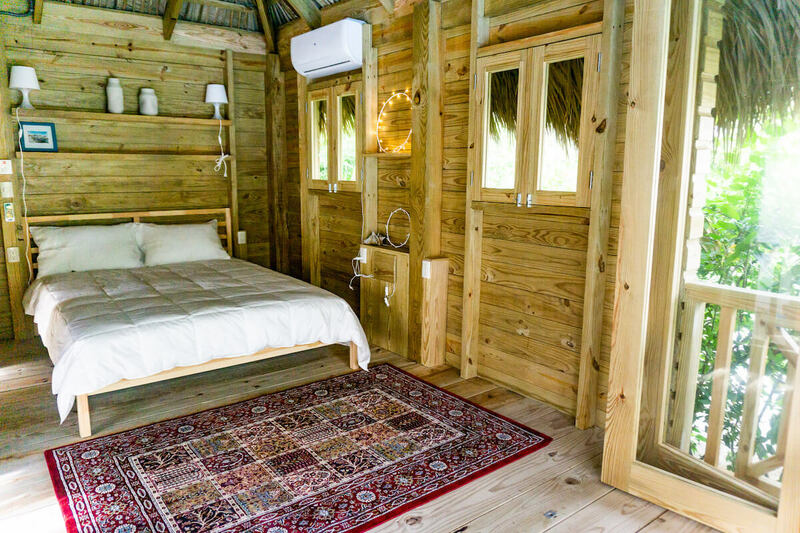 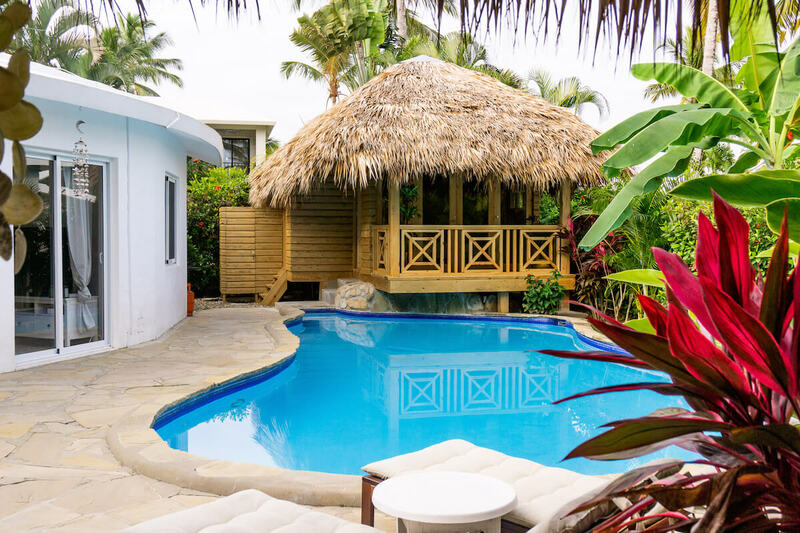 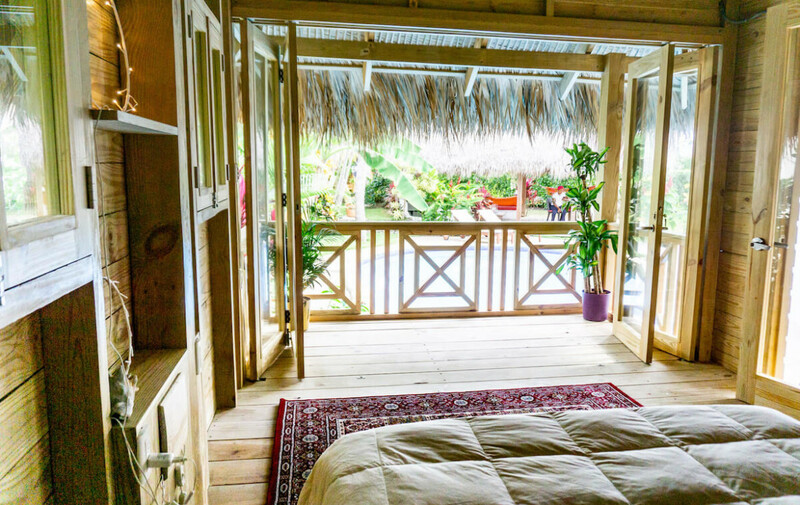 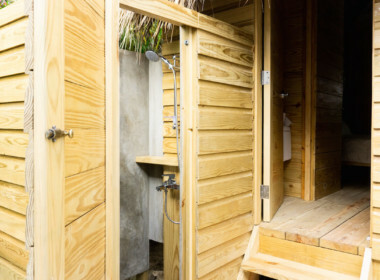 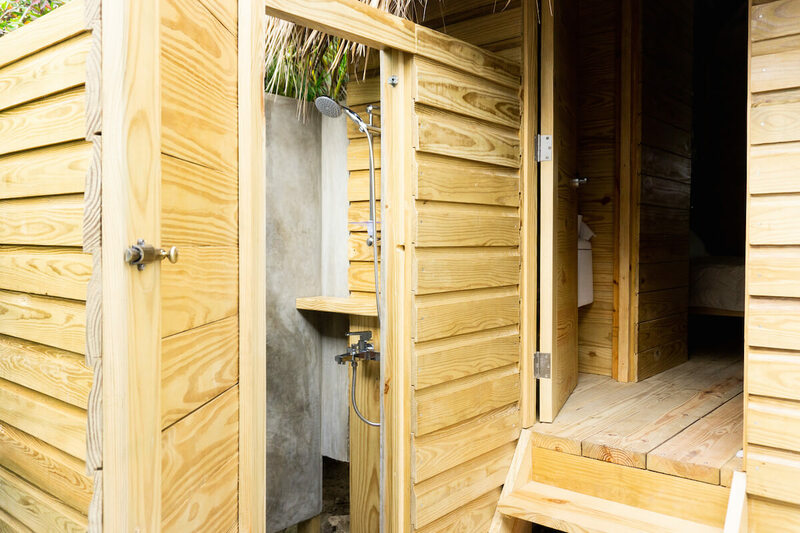 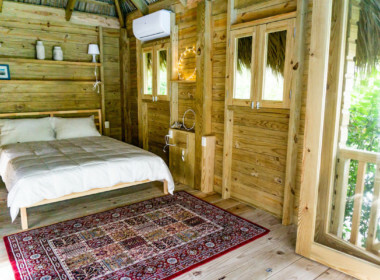 The little bungalow has a room for 2, with a queen bed, private bathroom with double entrance, external shower, and a balcony, all built in wood and decorated with style. 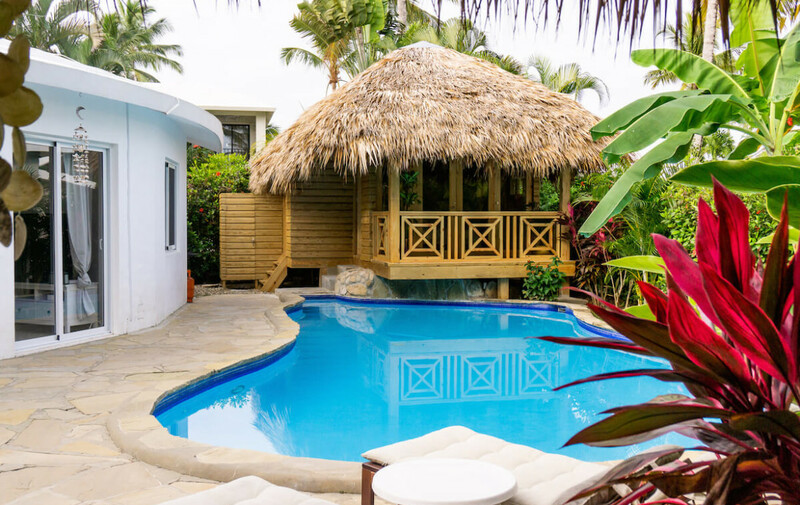 This property offers also, spacious outdoor areas with a big gazebo perfect for celebrating a vacation with friends, with a big couch and an exterior dining area facing the pool. In addition, this house has a little wood house in the garden for kids entertainment. Private parking space for 2 cars, flowers all around the house and a relaxed style full of beach vibes!